This next generation BB cream combines superior broad spectrum UVA/UVB protection with a universal, skin perfecting tint that reduces the signs of aging, diffuses imperfections and evens skin tone. Worn alone or as a primer, this antioxidant enriched, multi-tasking formula provides mattifying, all day oil control and gentle hydration for even the most sensitive skin. Apply liberally to face and neck or as directed by your physician. Ideal for every day use. Love this sunscreen! Wasn’t sure what I’d think based on some reviews but wow, I was pleasantly surprised. 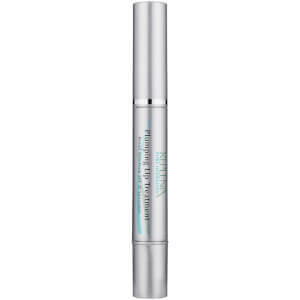 Goes on very smoothly and does not feel heavy like a lot of sunscreens do. Super comfortable to wear and evens out my skin enough I really don’t need foundation on top. Gives me a nice radiance and looks good all day. One of the first sunscreens I haven’t wanted to scrub off my face right after I apply because it’s so comfortable I don’t even know it’s there. Best of all I’m getting SPF50! This has got to be the best sunscreen of all except for the color. The texture is perfection -- silky and matte, but not dull. Applies beautifully. If the color were a little lighter, I would order 10 tubes. Why not offer a few shades? I'm sure this color is right for someone with medium colored skin. If you're a little lighter like me, it's just a little on the dark side. Sob!!! The first thing I noticed was the smell. It has a very odd smell that I was unable to get past. I ended up throwing the bottle away, maybe I should have returned it. I have problematic skin and I noticed my skin would breakout in random spots when I wore it. First of all, I am 63 years young and have suffered with oily skin all my life. It can be very frustrating having this skin type--especially when the first thing anyone looks at is your face! I have tried so many products and prescription products; none seemed to control my oily skin. 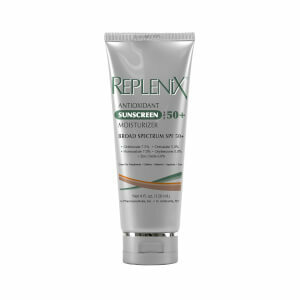 When ordering from Skin Store a couple months ago, I chose Topix Replenix UltiMATTE BB cream along with another sunscreen for my free trials along with my purchase. I tried the "other" cream first--two days later it went in the trash. Then I tried Topix Replenix UltiMatte. When first applying, I thought, "this IS different". And I figured after a couple days I would know if it was suitable. I squeezed small amounts out of the packet as I wanted to be able to get an idea over a couple days so I could make a decision if I should purchase the cream. Well, I was blown away. 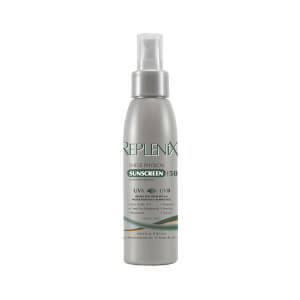 My skin was silky smooth, not oily, ever, even on humid days! This was a brand new experience for me. I was ecstatic! I ordered the cream and am so happy!! Not only is the cream good for oily skin, but being 63, my skin looks clear and beautiful--wrinkles are barely discernable--I don't have that many, but this really helps as it tightens the skin--my pores are almost down to nothing--my pores across my cheeks were always enlarged. I also love the tint--it is perfect--I do not wear makeup now, only this cream. I can say I love my face. WOW. Never thought I would say that. Best Sunscreen...and I've tried them all ! 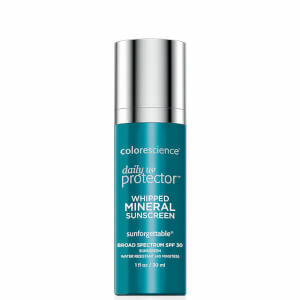 I have oily skin with rosacea and this is the first sunscreen I've tried which does not aggravate both conditions. In fact, it seems to be calming my skin while at the same time leaving an invisible matte finish. It has a perfect amount of tint so that is disappears on skin with neither a chalky finish nor any perceptible color. I received this as a sample, and, because it was a time to get a new BB/CC/tinted moisturizer, I decided to give it a try. I am hooked. I stretched the sample for 5 days and cannot wait until I receive my full size tube. I have very oily skin with large pores and I live in South Florida. I used to use blotting sheets 2 hours after I put my make up on (and then every 2 hours during a day). This one mattifies perfectly, makes the look of pores nonexistent, and I need to blot only once a day. It also feels very nice on the skin, non greasy, very light weight. I also think it improves my skin condition (perhaps, because it does not clog my pores). I love it! Highly recommend.